Will there be any guarantee these experimental tests are accurate? Will we become guinea pigs in service to zealous public health officials and drug companies profiting by our forced compliance? What is certain is that if any of us are injured by the forced testing and use of experimental drugs and vaccines, the public health officials and drug companies responsible for harming us will not be held accountable in a court of law. 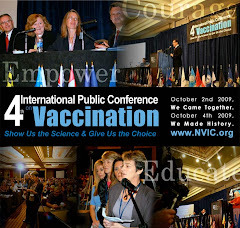 Congress made sure of that when it passed the Project Bioshield and Pandemic Flu legislation during the past two years. It is time for citizens to stand up and hold their elected officials at the state and federal level responsible for what they have done. The unchecked power that they have handed over to M.D./Ph.D. public health officials in government health agencies is not only dangerous to the public health, it is a threat to fundamental freedoms guaranteed under the U.S. Constitution. 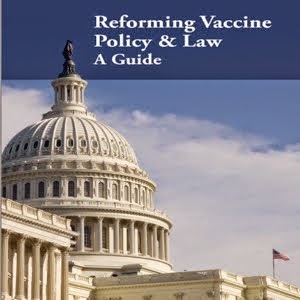 Just as we don't have to be rocket scientists to understand the flaws in the junk science DHHS passes off as proof that vaccines are without significant risks, it doesn't take a constitutional lawyer to figure out when our constitutional and human rights are being taken away.